As the number of tourists to Israel continue to rise, the Red Sea resort of Eilat is braced for further growth following the opening of Ramon International Airport. Israel welcomed more than four million tourists over the course of 2018, setting a new record for the country. Tourism minister Yariv Levin hailed the role a “significant revolution” in its marketing strategy has played, alongside the opening of dozens of new air routes. The country’s Open Skies agreement with the EU has also been a major factor for the rise. The total number of scheduled international departure seats from Israel has surged, rising from 6.4 million in 2012 to 12.9 million in 2018. “Israel’s aviation market doubled after the signing of the Open Skies agreement with Europe,” said Israel Katz, minister of transport, intelligence and foreign affairs. He also acknowledged the investment the country has made in the development of Ramon International Airport (ETM), which will serve as a gateway to southern Israel. Although Jerusalem and Tel Aviv remain prime attractions for leisure, business and religious passengers, the Red Sea resort of Eilat has been steadily growing traffic. 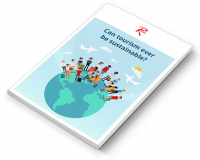 This has been in part fuelled by European travellers seeking out alternative winter sun beach destinations to Turkey and Egypt. 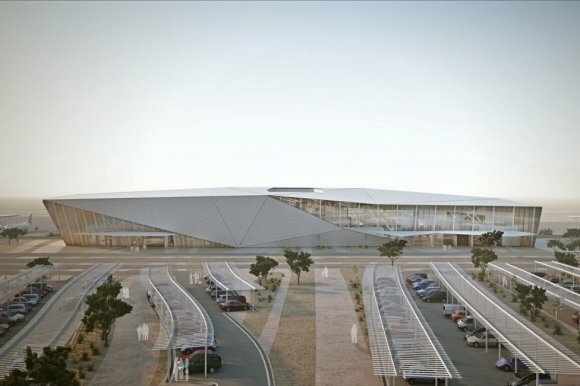 The growth is reflected in the capacity rise experienced by Ovda (VDA), the airport located about 60 km north of Eilat that opens during the winter season for international flights from Europe. OAG data shows that the base upped the number of departure seats from just 31,200 in 2014 to 196,000 in 2018. European low-cost carrier Ryanair has been a major contributor. The airline only made its debut in Israel in November 2015 with seasonal winter flights to Ovda from Budapest, Kaunas and Krakow. However, during the winter 2018-19 season, the budget carrier offered more than 109,000 departure seats from the airport, flying a total of 15 routes. Its most popular destinations included Bratislava, Brussels Charleroi and Kaunas. Other airlines such as Wizz Air, Nord Wind and Transavia have also grown their presence, adding services to the likes of Sofia, Vienna and Warsaw. Wizz alone upped capacity from Ovda by 39 percent in winter 2018-19, compared with the same season a year earlier. Given the increasing demand for services to Eilat, the opening of Ramon is a timely boost. The $446m greenfield airport was inaugurated in January 2019 by prime minister Benjamin Netanyahu and will replace both Ovda and Eilat Airport (ETH), the latter which closed in March this year and was previously used for domestic services from Tel Aviv and Haifa. Ramon will initially have the capacity to handle up to two million passengers a year, but Israel Airports Authority (IAA) said further expansion is planned to increase capacity to 4.25 million by 2030. Its 34,000 sq m terminal has 32 check in desks and parking spaces for more than 30 aircraft, while its runway is 3,600m long and 45m wide. All existing airlines that operated at Ovda and Eilat are moving to Ramon, including scheduled carriers like Ryanair, Wizz, Finnair, Transavia France and Ural Airlines, plus domestic carriers Arkia and Israir. ASL Airlines France, Rossiya and VIM also will operate charter flights. As part of continuing efforts to grow traffic, IAA and Israel’s Ministry of Tourism have several incentive schemes for carriers serving Eilat. For the winter tourism season between September and May, MOT offers €60 per inbound passenger. In addition, aeronautical charges at Ramon will be waived for the first three years of operation, except for aircraft parking and services. The opening of Ramon comes shortly after Eilat was ranked in sixth place on The New York Times’ list of top destinations to visit in 2019 - the first time Israel has ever made an appearance on the annual travel list. The publication highlighted the “newly accessible” resort’s coral reef diving opportunities and its luxury hotels as reasons for the inclusion. According to a report from leading aviation consultancy ASM, most air travellers to the southern Israel port town stay for an average of six days. And while Eilat was their holiday hub, it was not the only destination. About a third expanded their travel to Jerusalem (31 percent) and the Dead Sea (26 percent), while 12 percent also crossed the border to Jordan and Egypt.